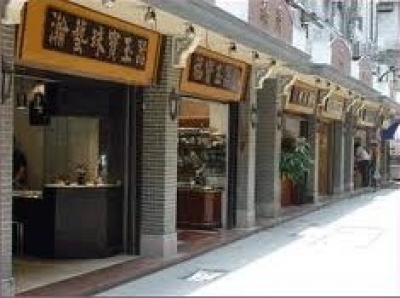 Hualin Jade Street mainly deals in retail, wholesale and jade and jewelry processing. It is said that the history of this street can be traced back to the early Qing Dynasty. At present, hundreds of jade ware stores are found here. Best-quality jades from Burma and Yunnan Province are made into jade bracelets, rings and other wares Beijing Road is simply a must to visit when one is in Guangzhou. The market covers an area of 10,000 sqm and the vast majority of Guangzhou's jade traders can be found in the area. With an annual turnover exceeding RMB100 million, the market accounts for over 90% of the cities jade sales. Here, one can find not only small jade items costing a few money but also rings, bangles, pendants and sculptures, with price tags ranging from about RMB100 to tens of thousands of yuan.